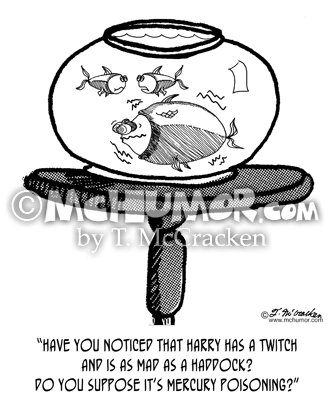 Fish Cartoon 0245: A fish says to another, "Have you noticed that Harry has a twitch and is as mad as a haddock? 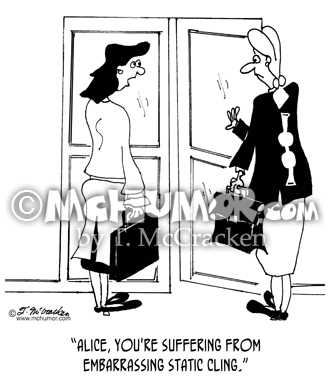 Do you suppose it's mercury poisoning?" 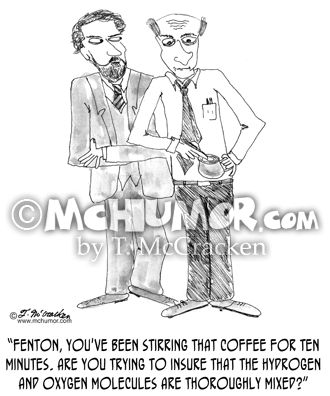 Science Cartoon 0128: A bearded long haired man in front of a sink holds a box that says, "Freeze Dried Nothing®. 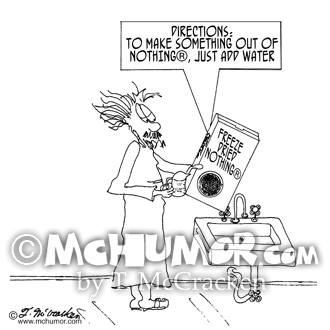 Directions: To make something out of NOTHING®, just add water." 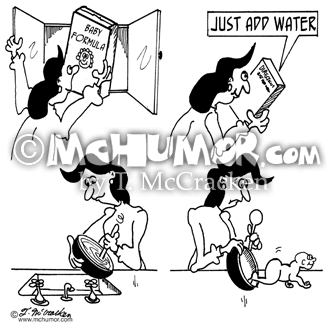 Baby Cartoon 5017: A woman pulls a box of "Baby Formula" out of the cupboard. The directions say, "Just add water." She mixes up the formula in a bowl. A baby crawls out of the bowl. 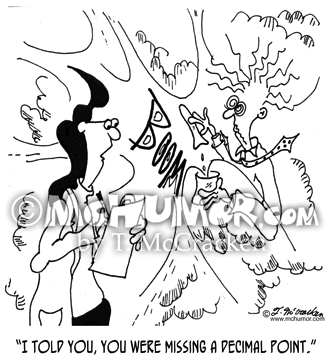 Lab Cartoon 6291: As a lab blows up one scientist holding up a beaker says to another, "I told you, you were missing a decimal point." 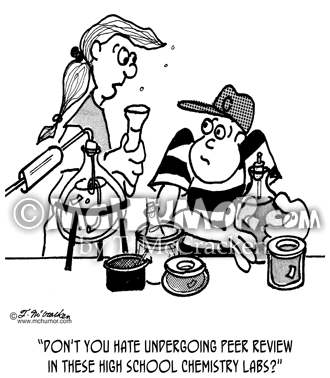 Scientist Cartoon 1748: A kid in science class asks another, "Don't you hate undergoing peer review in these high school chemistry labs?" Scientist Cartoon 1936: A woman says, "Mr. big shot scientist who works 18 hours a day at a prestigious lab developing high strength corrosion inhibitors, but can I get him to spend 2 minutes getting rust stains out of our own tub? No." 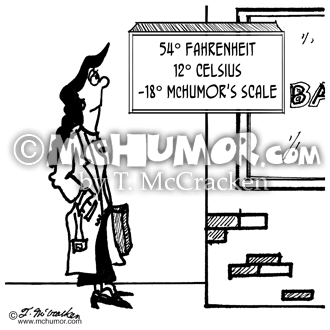 Temperature Cartoon 2008: A thermometer reads, "54° Fahrenheit, 12° Celsius, -18° McHumor's Scale." 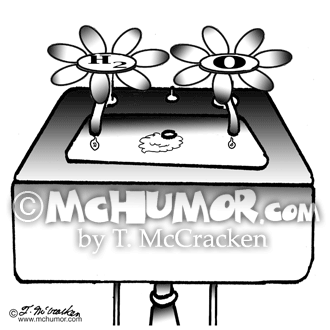 Chemistry Cartoon 2410: A sink with one faucet is labeled "H2" and the other labeled "O".